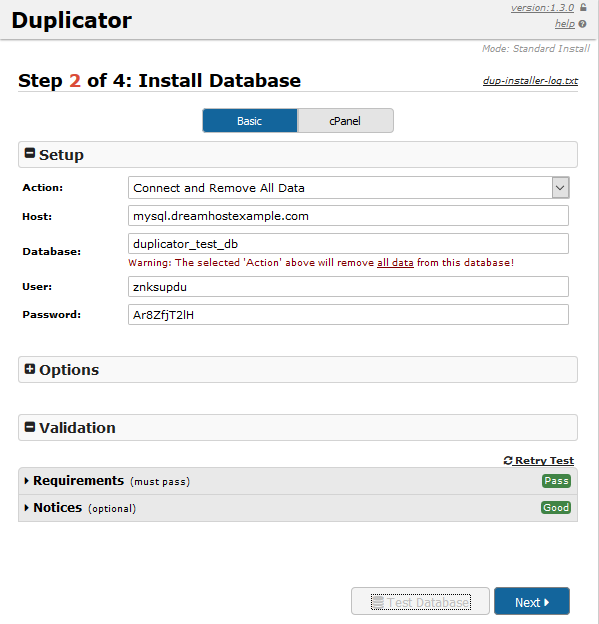 To help migrate your site to DreamHost, you can use the free Duplicator plugin. 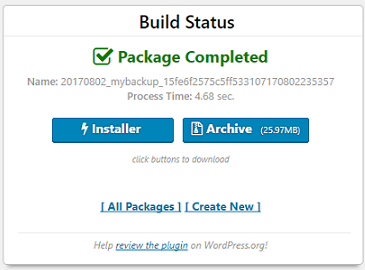 This packages up your WordPress install (including plugins and themes) as well as the MySQL database on the "source" side. The following steps walk you through the migration process. Navigate to 'Plugins > Add New' to install and activate. Open the Duplicator plugin by clicking 'Duplicator' in the left pane. On this page, name this backup anything you like and click the 'Next' button. Click the Build button to create the backup. Click on both the Installer and Archive buttons to download the files. You will have downloaded a file named 'installer.php' and '20181218_newbackup_0767eb2a831391167732_20181218001944_archive.zip'. Use the FTP article to upload the installer.php and .zip files to your new WordPress site. You should not unzip the .zip file. Just upload it as it is. It will be decompressed in the following steps. Go to to your MySQL Databases page at MySQL Databases. Create a new hostname and empty database for the site you’re migrating to. Check the box to accept the terms & notices, then click the 'Next' button. On this page, enter your new database credentials and then click the Test Database button. You should see a green 'Success' response. A pop-up displays asking you to confirm if you want to run the installer on this database. Click Yes. At step#3, you are asked to confirm the URL, Path, and Title of the new install. Click Next. 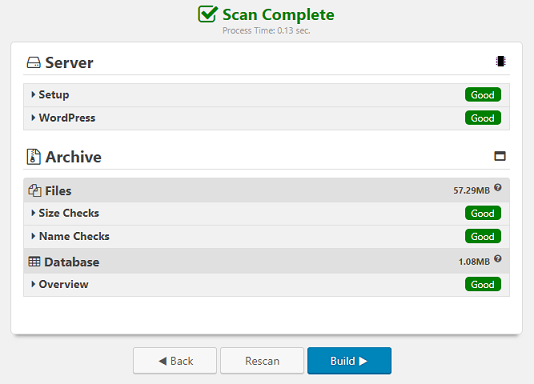 At step#4, make sure the box is checked next to 'Auto delete installer files after login'. Click the Admin Login button. Log into your new site with the same WordPress user/pass as the old site. You'll see a message indicating all installer files have been removed. The former WordPress site is now duplicated into the new site URL. Your source and target systems need to have the ZipArchive PHP extension installed so that the Duplicator plugin can zip the package. You can check this by going to the System Compatibility page in the Duplicator plugin. On DreamHost, that means your site must be running PHP 5.6+.